The Government has opened a review into urban mobility that will explore regulation around new transport modes – including electric scooters – and invest £90m in ‘future mobility zones’ to open up more sustainable and easier mobility options. Billed as the biggest review into transport in a generation, the Future of Mobility: Urban Strategy will explore whether new types of vehicles including e-scooters and e-cargo bike trailers could and should be made legal on UK roads. It will also explore how sharing data can improve services by reducing congestion, and how journey planning and payment can be made more simple. The review is being accompanied by the launch of a competition for up to four new ‘future mobility zones’. Funded by £90m – part of the Transforming Cities Fund – this will test ideas to improve journeys for people across the country. Building on widespread use of smartphones among the public, it will explore solutions for smoother payment systems, better, more up-to-date travel information and the use of innovative forms of transport, making travel in towns and cities more convenient, more reliable and cheaper. Future of Mobility Minister Jesse Norman said: “We are at a potentially pivotal moment for the future of transport, with revolutionary technologies creating huge opportunities for cleaner, cheaper, safer and more reliable journeys. The strategy, which forms part of the Government’s modern Industrial Strategy, also sets out nine key principles that will guide government decision-making going forward, ensuring that emerging transport technologies are safe, accessible and green. Alongside the strategy, the Department for Transport (DfT) has published the summary of responses to its Future of mobility call for evidence and also announced the first winners of the Transforming Cities Fund. This sees 10 city regions in England awarded £60m for schemes supporting low-carbon vehicles, cycling and walking projects, and smart traffic controls. The Government has also published its response to the Last Mile call for evidence, outlining a range of measures to support cleaner and more sustainable last mile deliveries. These include increasing the uptake of e-cargo bikes and e-vans. In addition, working with the Energy Saving Trust, the Government is also now inviting expressions of interest for £2m of funding to support the uptake of e-cargo bikes. The publication of the Future of Mobility: Urban Strategy has been welcomed by the BVRLA, which has highlighted the key role that the vehicle rental, car club and leasing sector will play in realising the full potential of Connected, Shared, Autonomous and Electric (CASE) vehicles. The association has also published its Mobility Credits Scrappage Scheme policy paper, which makes the case for a nationally funded, locally targeted vehicle scrappage scheme that offers a mobility credit in exchange for a household scrapping its older, more polluting vehicle. This credit can be spent on more sustainable ‘pay-as-you-go’ private and public transport modes, including car and bike hire, car clubs, trams, buses and trains, helping to shift the focus away from private car ownership and cutting congestion. 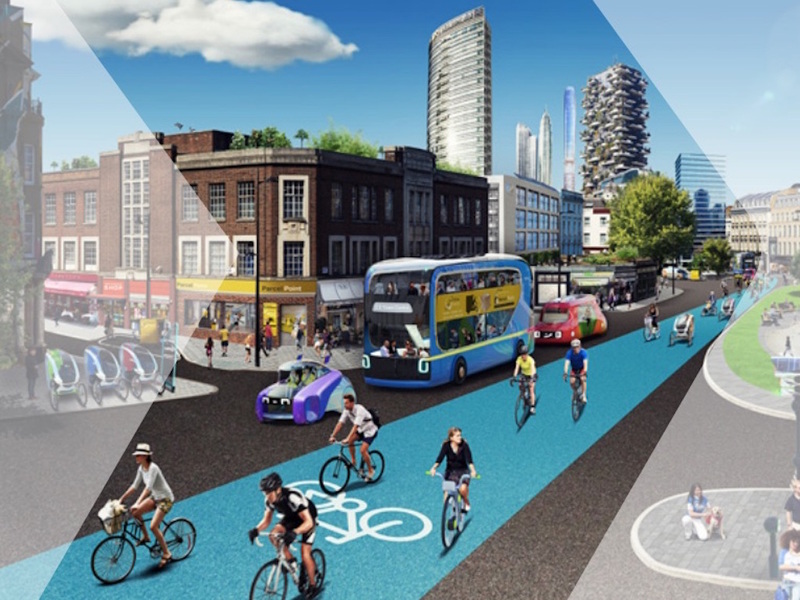 The scheme could also be used in conjunction with new technologies such as integrated Mobility as a Service (MaaS) platforms to incentivise more sustainable journeys involving public, shared and active transport. However, the RAC was more cautious on the announcement and said plans to let electric scooters use UK roads legally would need to be carefully thought through. Head of roads policy Nicholas Lyes commented: “The convenience and affordability of electric scooters should not be overlooked, but the vulnerability of riders in a collision is arguably even greater than those on bicycles. Care needs to be taken to ensure the safety of all road users, including pedestrians and cyclists, as new modes of transport gain popularity. “We know drivers who regularly have to deal with congestion in urban areas are often open to alternative forms of transport, so any move to review regulations to make this simpler and encourage take-up should be welcomed.